As we close in to a brand-new season of Lakmé Fashion Week Winter/Festive 2018; we are super excited to see what’s in store for us at the year’s biggest fashion event. And while we wait with bated breath for what’s fresh and new on the fashion block, we can’t help but get nostalgic about all the iconic LFW shows and looks from previous seasons. 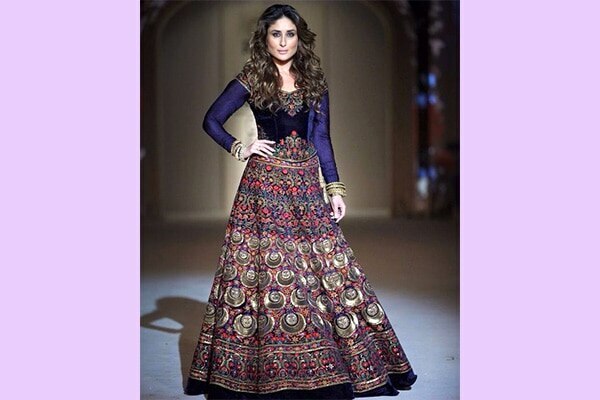 Fun fact: most of our favourite LFW looks have just been Kareena walking the ramp, being her awesome, versatile self! Kareena Kapoor Khan had us in complete awe as she took to the ramp for Anamika Khanna at Lakmé Fashion Week Summer /Resort 2015. At the Lakmé Fashion Week Winter/Festive 2015 Kareena Kapoor Khan wore a sheer and black sculpted gown by Gaurav Gupta and took to the ramp with confidence sporting red lips. 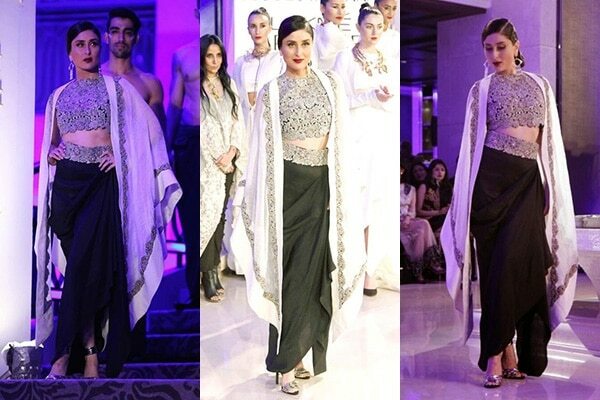 Then in the year 2016, Kareena closed the Lakmé Fashion Week Summer /Resort with this Rohit Bal collection. At the Lakmé Fashion Week Winter/Festive 2015—dressed in all her pregnant glory, Kareena Kapoor walked the ramp in this gorgeous Sabyasachi ensemble. 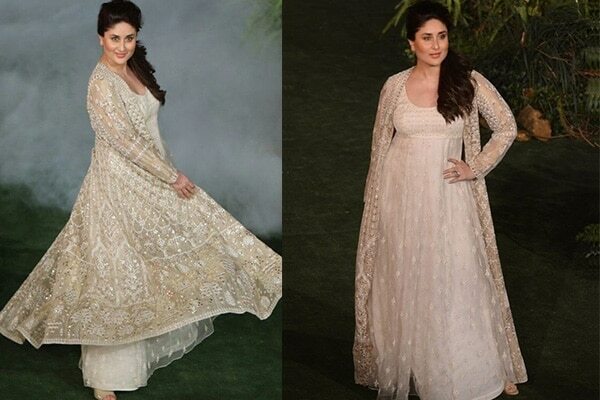 Flaunting her baby bump, that radiant glow and sheer confidence, Kareena made history. And finally, Kareena Kapoor Khan made our hearts skip a beat as the then new mommy took to the ramp yet again for Anamika Khanna’s Lakmé Fashion Week S/R Grand Finale 2018. While her black number looked stunning on her svelte frame, and those gigantic cuff earrings dialed up the drama for her look; we can’t get over how Kareena managed to look like she did within a year of embracing motherhood.